Mini Golf at its finest!! We have 5 different courses with 91 unique holes in all. 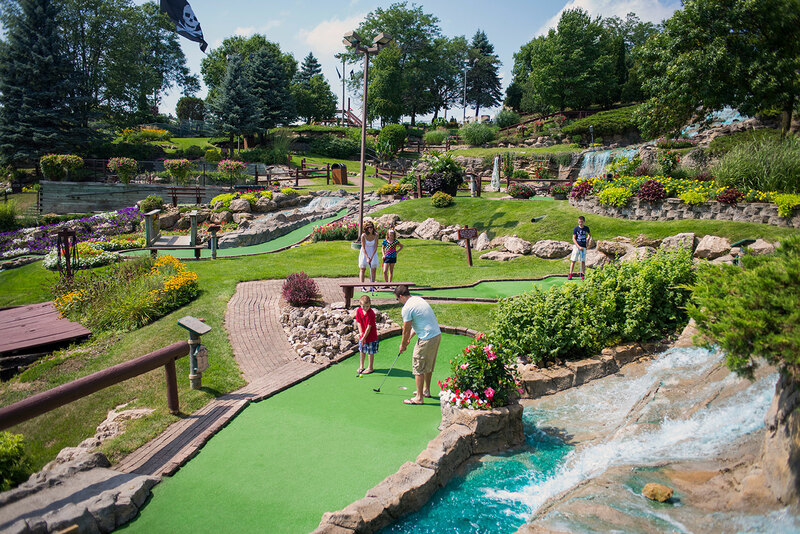 It’s beautiful here, we are not your normal mini-golf, and we’re consistently ranked as one of the best things to do in Wisconsin Dells by our own customers. Come take a look at our HUGE Sundial. It’s an amazing photo op and best of all it’s FREE. Beautiful Playland and Picnic area at the top of the hill. 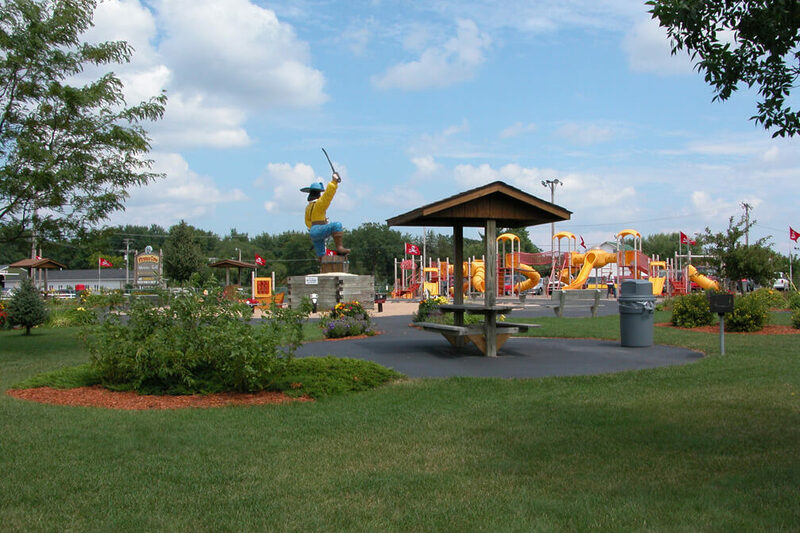 We have a very large Playland with covered picnic tables nearby so you can bring the kids for some playground time while you eat. Step into the Fantastical World of PIRATES! 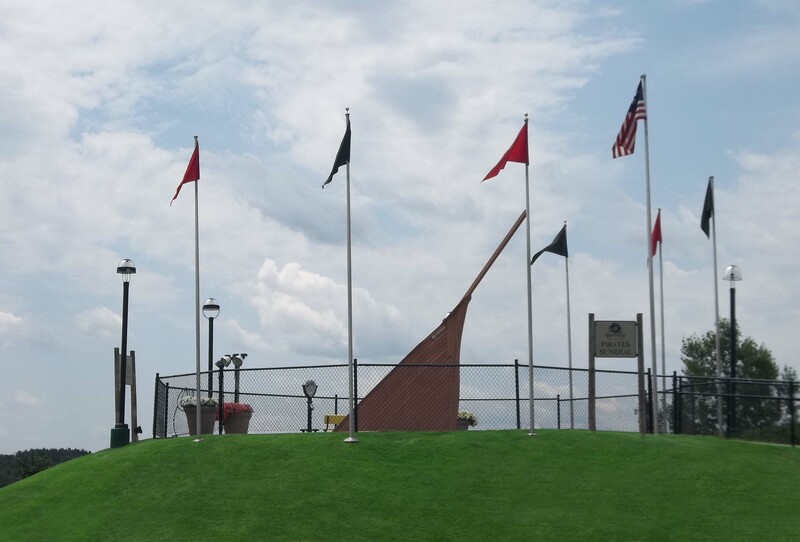 As you putt your way through our 91 holes, take a look at the Pirate lore we have all throughout our course. We have "Excellent" reviews on Trip Advisor. My Husband brought me here for my birthday. I love mini golfing and this was one of the best courses I've ever been to! The views are astonishing in the courses are a lot of fun. We played the bird's-eye course I believe it was called, and it had great holes that were challenging yet fun! We went in the morning and it wasn't to busy which made it very romantic for us. It was so fun and great! Thanks for the amazing time! This is a cool place to play mini golf. There are a number of different courses that all pose a different challenge. They are all of similar par and there aren’t many obstacles in the course. However, the courses overlook the river and you have a pretty good view. It’s a nice scenic area and can be pretty fun. My wife and I have been playing mini golf all over the US for 30 years. This place may be the best complex we have ever played at. The condition of the greens was great. The landscaping of the complex was amazing. Only a course in Hawaii even comparable. 5 Courses available.